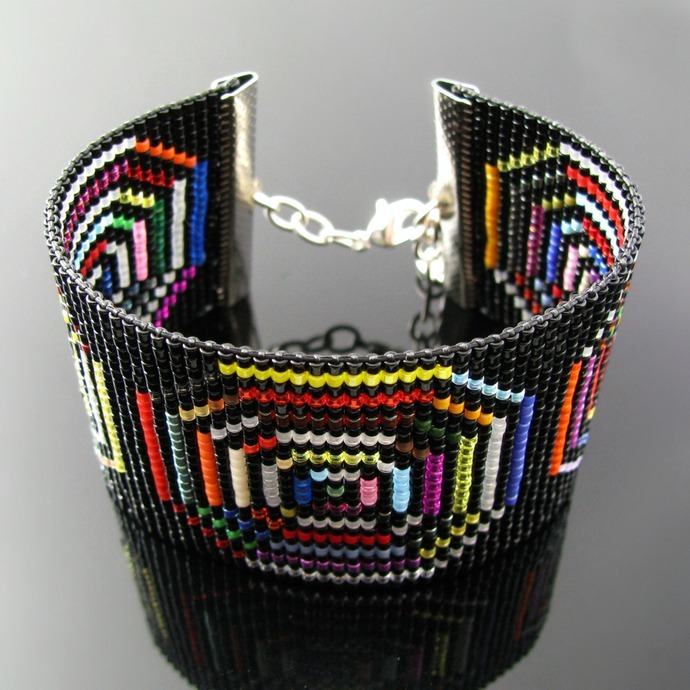 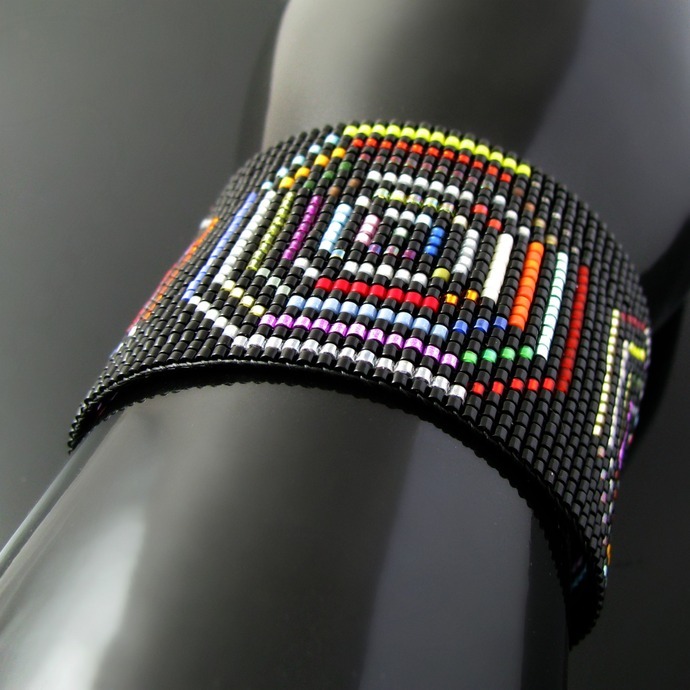 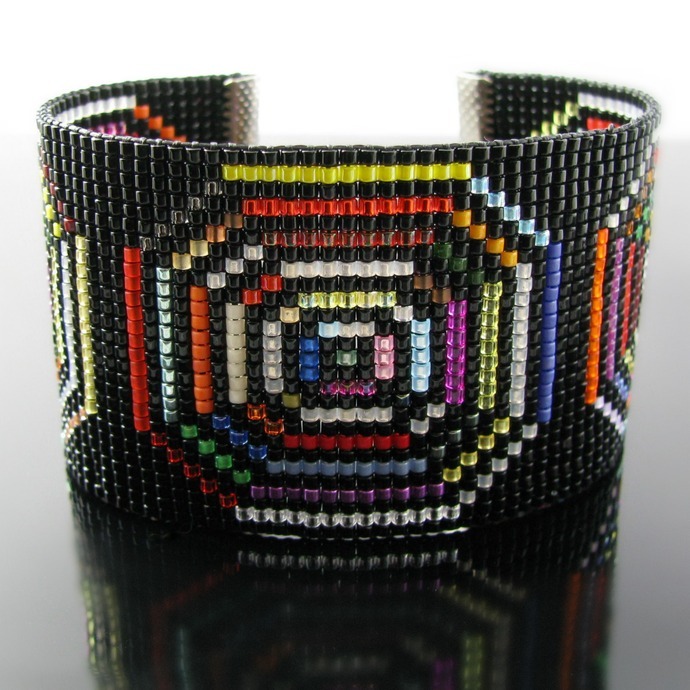 The pattern of this bead loomed bracelet - an original designed by me - is truly hypnotizing. 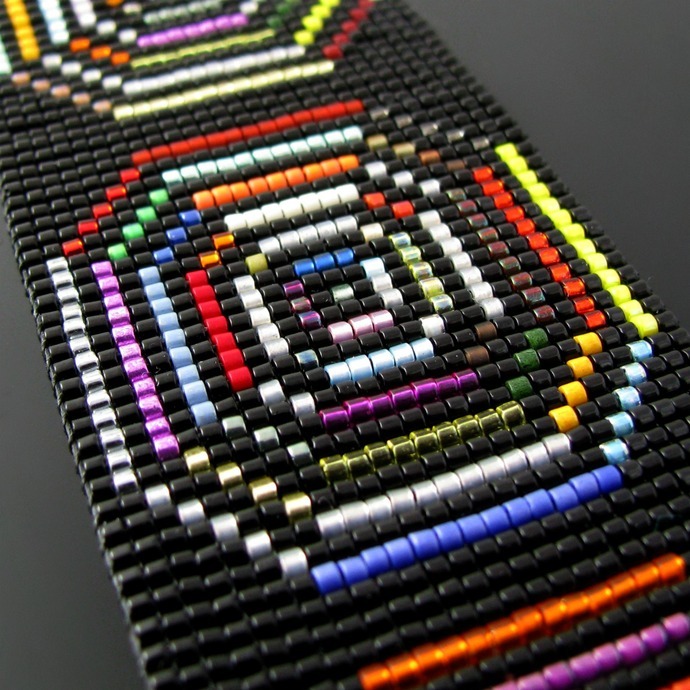 I randomly used bead colors and finishes which gives the bracelet a fascinating look. 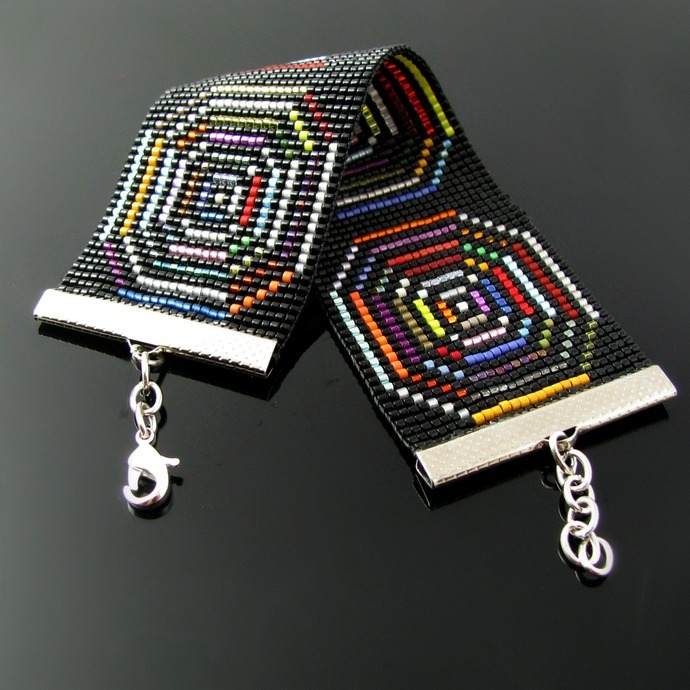 It is made from Delica beads and finished off with silver tone ribbon crimps, chain and a lobster clasp. 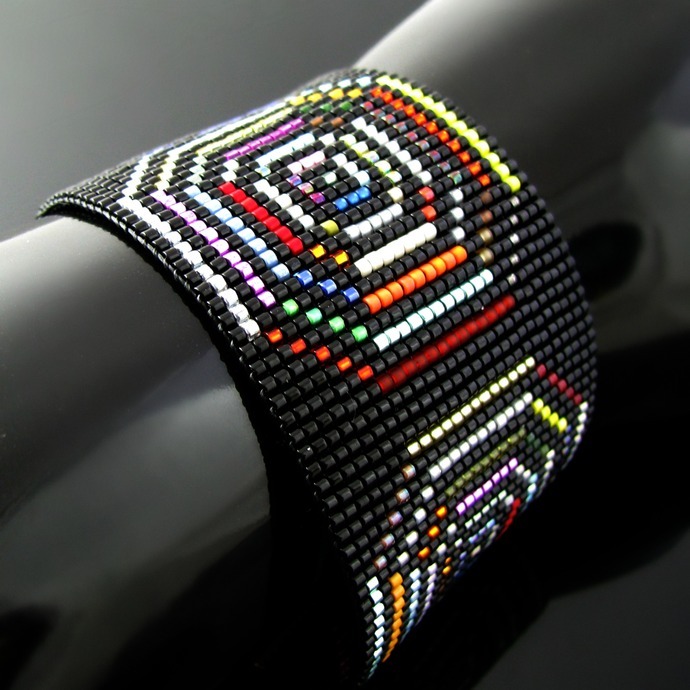 The width is 3.8 cm or 1 1/2 inch, the length between 18.5 and 20.5 cm or 7 1/4 and 8 inch depending on which chain link you use to close the bracelet. 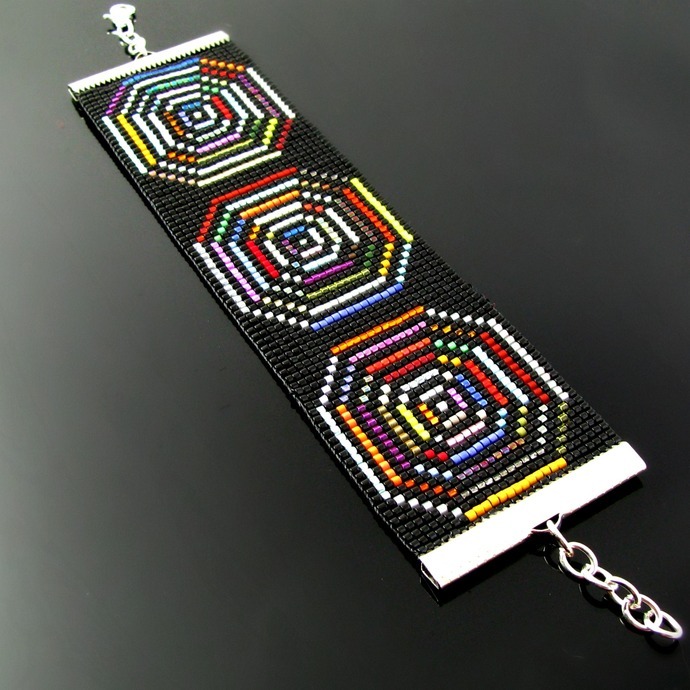 Should you need more chain, I'll be happy to add it for you.